Ryan is a salesperson at both locations and has a wide range of knowledge. 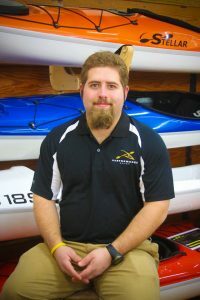 Ryan is our kayak touring & whitewater kayak specialist with extensive backpacking knowledge. Ryan is a certified instructor in rock climbing.